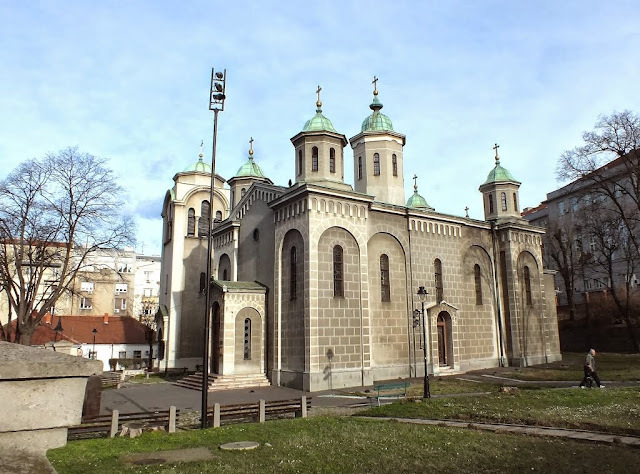 Constructed between 1931 and 1940 in Serbo-Byzantine style, next to an old church from 1835, which was swept away in 1941 bombing. 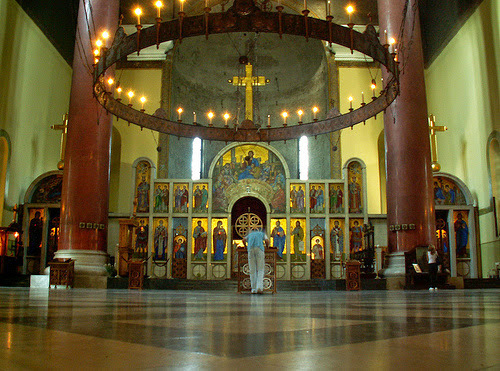 The decoration of the church interior was abandoned due to the war, and it has been left unfinished. 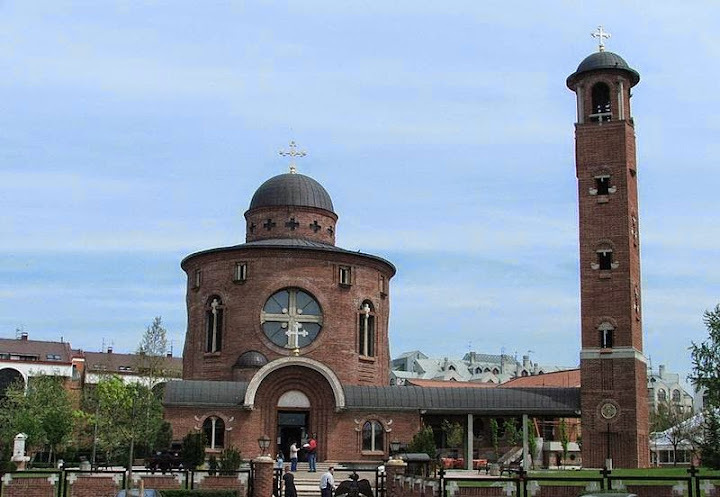 By general architectural conception, forms and polychromy of facades, this temple is most like the Gračanica monastery. 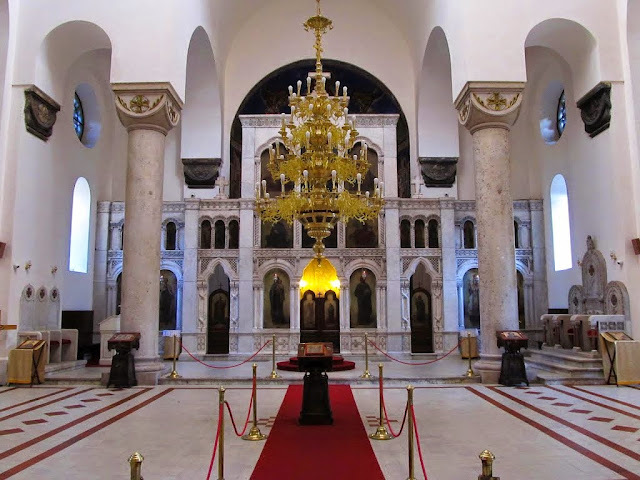 At the south part is a sarcophagus with the remains of Czar Dušan, brought here from his endowment, the monastery of St. Michael the Archangel near Prizren. 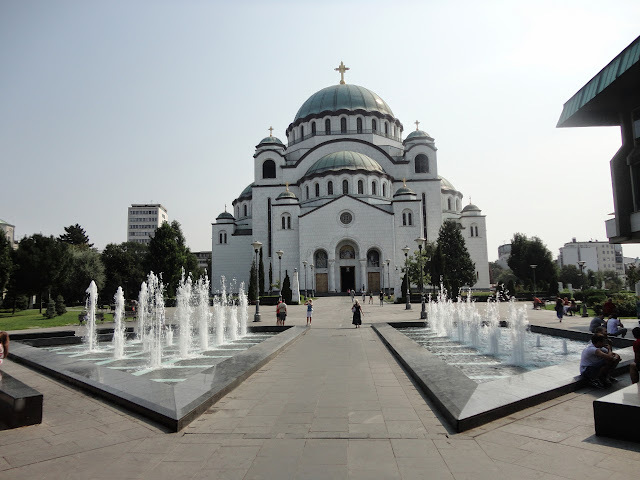 On the north side is the white marble crypt containing the remains of Patriarch German Đorić. 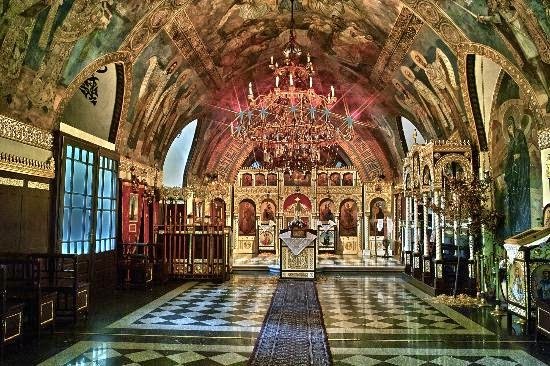 One of the most valuable collections of Serbian XVIII and XIX-century icons is kept in this church.